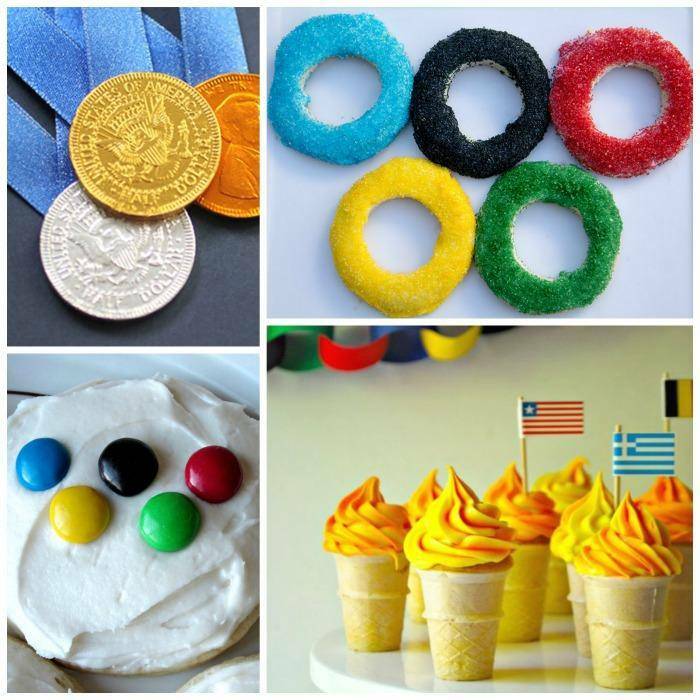 Try these Opening Ceremony Olympics Party Ideas at your next Olympics Watch Party! Are you ready for the Olympic Games? I can’t even begin to tell you how excited I am about the 2016 Olympic Games that are starting in Rio in a few days. 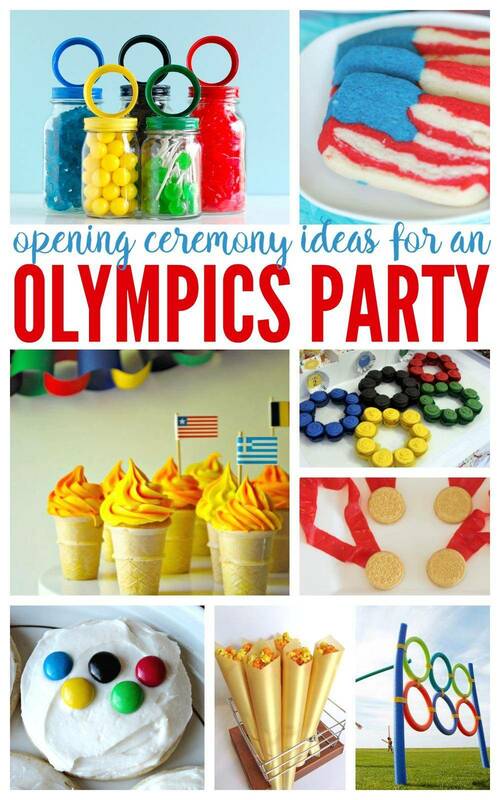 If you are planning an Olympics Opening Ceremony Party then check out these 2016 Opening Ceremony Olympics Party Ideas for some inspiration and ideas. Every 2 years when the olympics come around I am GLUED to the TV because I just don’t really care what sport it is, I’m cheering for the USA. One of our family traditions during the olympics is to watch the Opening Ceremonies together, my sister and I both love the Olympics and we also grew up as dancers and so any type of performance like the Opening Ceremony is always a must watch on our list. Use Empty Soda Bottles and Diving Rings to create your own Olympic Ring Toss. Use Pool Noodles with Duct Tape to create your own Javelin Target and host your own Backyard Games. 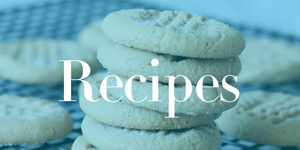 Use Sugar Cookies to create your own Olympic Rings that are Edible! Use Red, Yellow, Green, Blue and Black M&Ms to create an olympic symbol on the top of your favorite iced sugar cookies! Bake your cupcakes in an Ice Cream Cone and top with Red and Orange Icing for an Olympic Flame! Layout Cupcakes in the shape of Olympic Rings and color them in the colors of Red, Yellow, Green, Blue and Black! Print out a Go for the Gold Sign and fill a Candy Bowl with your favorite gold wrapped candy like Snickers, Reeses, Twix and Hershey’s Nuggets. Create a Fruit Buffet using different colored fruits and then place them on Plates with bowls in the center to create the shape of Olympic Rings. Use Gold Paper to create the base of the torches then fill with cheddar or yellow popcorn! Show your USA Pride and Turn your favorite Sugar Cookie Mix into Flag Shaped Cookies with our simple step by step instructions. One of my favorite recipes is Fruit Pizza, this is a fun American Themed Twist on a Classic Favorite! This White Chocolate Chex Mix is the perfect USA Themed Snack Idea for your Olympic Party! Show your USA Pride with this Stars & Stripes Fruit Bowl. You can cut Slices of Watermelon in star shapes and mix with Blueberrys for a fun and healthy treat. Using Candy Melts to create Red White and Blue Flag Pretzel Rods to cheer on your favorite USA Team Members! Make Cake Balls out of Red Velvet or Red Cake Mix and then dip in white chocolate and top with blue sprinkles for a delicious bite sized treat. 19.) Make Your Own Olympic Cupcakes with these Free Summer Olympic Party Cupcake Printables, Just Print these and use them to decorate your own cupcakes at home! 20.) Download these FREE Olympic Party Printables from the Creative Dee Workshop for your Opening Ceremony Part! 21.) And this one isn’t free, but I think it’s an adorable idea! You can get these Printable Photo Booth Props for the Olympics for only $4.99! This could be a lot of fun for less than $5! First Day of School Photo Ideas!